The world of business finance can often seem puzzling but Colin King pieced together the solution with a little help from Pension-led funding. 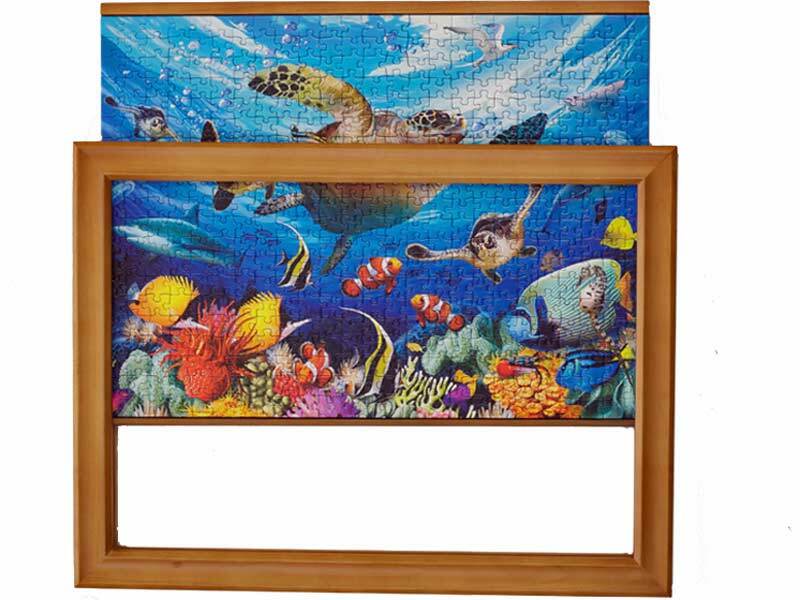 His company Jigthings has taken America by storm, supplying jigsaw tables, boards, cases, frames and safes under the banner “keeping it all together”. But the more successful the company has become, the greater the need for funds to buy stock to keep up with demand. The need to keep the business well financed was heightened still further when co-directors Colin and his wife Lisa launched a second business, Education Quizzes, a subscription website for pupils who want to revise subjects they are studying at school. Which is just what they have with Jigthings which has captured the imagination across the pond. Turnover in America this year is expected to be somewhere between 1.3 and 1.6 million dollars with a further £150,000 in the UK, the majority of the business through Amazon. Initial funding for Jigthings came from Colin’s own pension with £80,000 secured through Pension-led funding at a time when the company turnover was £250,000 in total on both sides of the Atlantic. “The business would never have taken off without help from Alex [Pension-led funding consultant Alex Stavri],” said Colin. With profits unable to keep pace with growth, Colin approached Pension-led funding again and was introduced to fellow Alternative Business Funding portal partner Funding Circle, securing £120,000 finance. A desire to invest the profits in the fledgling Education Quizzes dictated a further round of funding and Colin approached Pension-led funding again. On this occasion, he was introduced to the ABF’s Funding Finder engine. Following the registration process, the ABF SME customer journey took Colin to a familiar place, helping to secure further finance from Funding Circle, increasing his total funding to £210,000. Education Quizzes now has three full-time and four part-time staff in additional to Colin, with a further 20 teachers employed to provide content and is well on the way to successfully completing the profitability puzzle like Jigthings.